Scandalous eyes under water? Rimmel London has a solution for that. I was in the need for a waterproof mascara for my upcoming Vegas trip so I was super excited to receive the new Volume Flash ScandalEyes Waterproof Mascara. 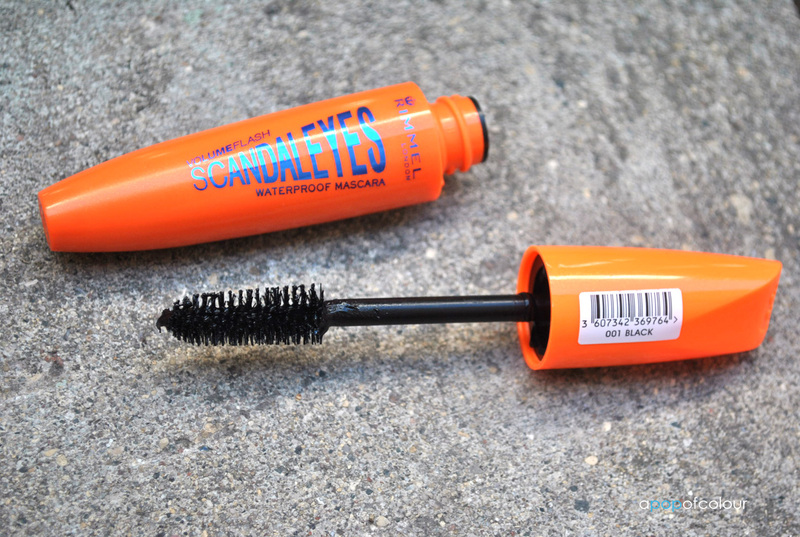 I haven’t tried Rimmel’s ScandalEyes before but I really did like Rimmel’s Volume Accelerator mascara so I thought I would enjoy this one as well. The brush for this mascara is absolutely huge, it actually reminded me of a bumblebee because it’s so big and fluffy. Plus, no lie, I’m pretty sure it’s the size of my eye. Now because the brush is so huge I found that I got a lot of product on my lids, which I then had to wipe away. I’ll be honest, this mascara didn’t really leave my lashes looking scandalous or anything; they didn’t look any longer or thicker. As for waterproof factor, this stuff does stay on after a day at the pool and under the sun. I’ve never been a fan of waterproof mascara because it’s so darn hard to remove at the end of the day, but you can be rest assured that this will stay on your lashes after some water activity. Would I recommend this mascara? 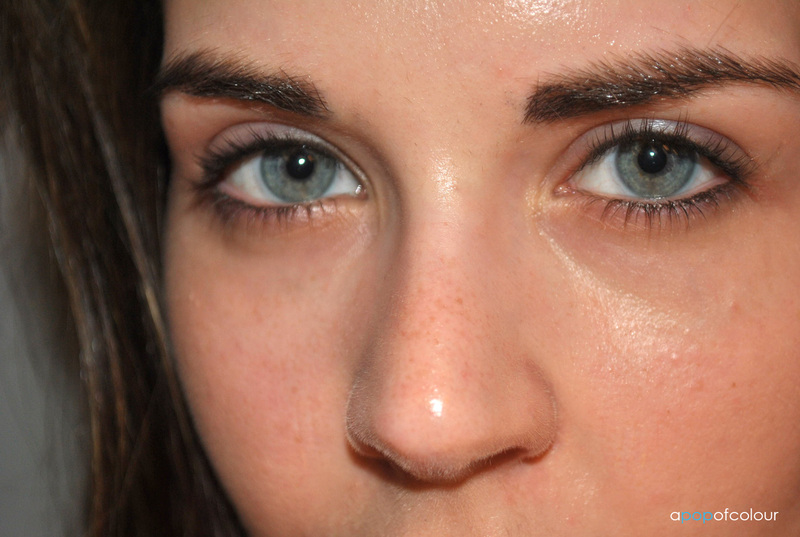 If you are looking for an affordable waterproof mascara, then yes. If you want something that makes your lashes look longer and thicker, then no. Don’t get me wrong, I don’t hate this mascara, I just don’t think it did much for my lashes, I mean it’s no YSL Faux Cils, but then again you are paying a a quarter of the price for this one (C$7.99). I do plan on wearing this every time I head to the beach or pool and it does stay on your lashes without flaking so it is a good waterproof mascara. Rimmel London’s Volume Flash ScandalEyes Waterproof Mascara will be available in August 2012 in Canada. Let me know if you have tried the original ScandalEyes and what your thoughts are on the product.